The first group includes those scholars who consider the economic revolution in Oromia as obstacle or threat to national unity or economic development in Ethiopia. This individual desire is to realize economic development in Ethiopia without empowering Oromia region. 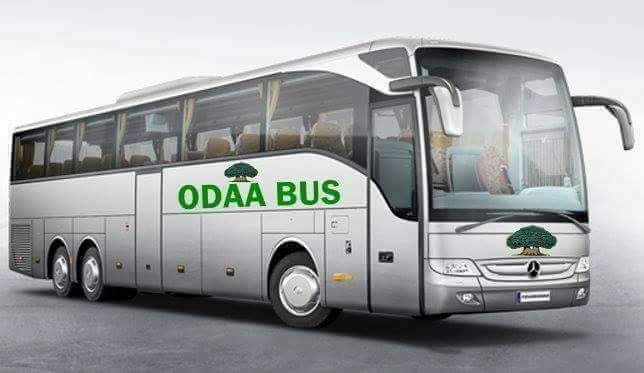 They do not know the current contribution of Oromia National Regional State for the national economy in the country. Currently above 60 percent of national coffee export comes from Oromia. In the same way Oromia National Regional State takes more than 45 percent of national crop production. In terms of population and land size the region covers around 36 percent and 34 percent of the national population and land size respectively. Further, most of the lands suitable for domestic and foreign investment with required infrastructure are found in Oromia. In addition to this most of the saving financial resources are mobilized from this region. The underutilization of natural resource and traditional economic situation in Oromia significantly harm the national economic development endeavor. Modernizing the economic activities in Oromia would be the get way for the structural transformation in the country. It is a simple fantasy to expect economic development in Ethiopia without economic modernization in Oromia. The other group is those writers who could not understand or not interested to recognize the organizational values or principles of OPDO (Oromo People’s Democratic Organization). These people think that there is only one Organization and idea that change the life of Oromo people who has different economic and social need. They do not encourage and accept any new and scientific idea against their opinions. The political belief promoted by OPDO from its inception makes the organization one of the dynamic and pragmatic organizations. It recognizes the international human value and economic development that has changed during the last four decades in the world. Today OPDO is not asking about the recognition of Oromo people rather it demand the political and economic entitlement of Oromo people. The innovative and inclusive nature of the organization changed the life of Oromo people in the last two decades. During this period infrastructural and social development in the region is the fruit of OPDO’s political ideology. But still, its structure and institutional capacity hampered the full realization of the wide range vision and value of the organization. Therefore joining OPDO (1) or becoming the viable alternative to OPDO is the only option to change the life of our people. That is why these two intellectuals groups have failed to accept and recognize the economic revolution announced by Oromia National Regional State. The Oromia region with the leadership of OPDO promotes Oromo democratic nationalism which recognizes and advances the economic and political freedom of Oromo people. Economic freedom provides the wide range of social and economic choice. Such freedom empowers Oromo people by improving its life quality. Nobody needs the political and economic freedom that cannot enhance the capability and functionality of its own people. Today the government and people of Oromia are jointly working on infrastructure and social developments to improve the livelihood of their people that will end or reduce absolute poverty in general in Ethiopia and in particular in Oromia. These are the fundamentals reasons for Oromia regional state to declare the economic revolution. During the last few months various activities have been undertaken to start the economic revolution. The detail analysis and interpretation of the economic revolution activities would maximum the social and economic benefit. Therefore the purpose of this article is to witness the starting of economic revolution in the region through logical and scientific presentation. There are two parts in this brief article: Part I and II. Part I will discuss the favorable economic and political conditions for the economic revolution. The second part will identify and explain the major activities undertaken by the regional government as a foundation for the economic revolution in the region. This part also uses empirical evidences to show the commitments of regional administration in economic revolution in the region. 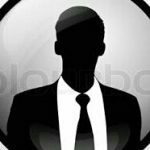 Economic situation refers to the situation in which market and government support enhances the business and investment environment in the particular economy. Ethiopia constitution gives the economic empowerment of nation and nationality in the country. During the last two decades it was hard to see the bold regional government decision in creating favorable environment for economic revolution. Recently the region has done various activities that improve the economic environment in the region. In its development priority, the regional government selected more competitive and efficient sector that accelerates the economic revolution in the region. For instances mining, irrigation, cash crop production and agro-processing industry have been selected to solve the unemployment problem in the region. The construction and other related mining activities were given to the local cooperative with the objective of transforming the unemployed youth to capital owner within 2-3 years. The lower initial investment cost, higher demand of the mining and the higher profit margin of the sub sector would help the local youth to mobilize sufficient financial resources within short period as compared to other sector. The second favorable economic situation was large and small scale irrigation development. The region endowed with abundant surface and ground water that can be used for irrigation purpose. The development of irrigation not only gives employment opportunity but it is also modernizes and diversify the agricultural sector. The third favorable economic situation for economic revolution was provision of large farm land for the local cooperative to involve in the large scale commercial agricultural activities. The government provides the necessary agricultural input and tractors to local youth in the region to produce high value cash crop. The development of commercial farm not only solves unemployment problem but it also increases the productivity and production of the agricultural sector. Another favorable economic situation for economic revolution was the establishments of agro processing industry. The necessary financial, human and natural resources was mobilized by private sector for the establishments of large manufacturing and agro processing industry. In order to promote mass participation in the region, the new manufacturing sectors were owned by cooperative and individual living in the region. The process of selecting the types of manufacturing sector was more inclusive, faire and viable to improve the livelihood of regional people and at the same time to realize the sectorial transformation in the region. The overall goal of creating favorable economic situation for economic revolution was to control or prevent social exploitations by imperfect market and non-market mechanisms. This can be realized by encouraging the formal and legal business organization in the region with the active ownership and participation of the local youth. The favorable economic situation created in the region realizes social justice or distributive justice by strengthening economic rights of Oromo people. The political system is more dynamic and transparent since recent reform conducted in the region. The economic revolution expected to bring economic prosperity in the region should be supported by existed political situation. The state would play the pivotal role in creating favorable political situation which enhance social justice. Since the recent reform the regional government was willing and committed to exercise constitutional right of the region. The leadership strongly recognized that the problem of Oromo people can be solved by pragmatic thinkers who can address the development need of the people. In this regards, the mobilizing of the natural and human resources in the region facilitate the political transformation. The region resources should be transformed to social empowerment through transparent political system. The government opens its political space by allowing the intellectuals and professionals to involve in various administration activities to enhance public participation. In addition to these the public mobilization and continuous consultation with the society at large transformed the political situation in the region. The government properly conducted its reform to enable or create favorable political environment. Today the regional government has been raising all questions in democratic and parliamentary manner to maintain the interest of Oromo people. The current political leadership is ready to make the new history that can provide new opportunities to its people than paying attention to the past history. Now what remains is up to the public and intellectual to use this opportunities to speed up and widen the regional political transformation. The future is in our hand if we raise any issues in constitutional, logical and scientific way that maintains the interest of our people. (1) Not recognizing the contribution of OPDO in improving the life quality of Oromo people during the last two decades does not indicate the quality or value of that person.